Winter cherry is a small or middle-sized, erect shrub. growing unto 1.5 metres tall. Its stems and branches are covered with minute star-shaped hairs. It has egg-shaped, hairy leaves unto 10 cms long, small, pale green flowers in dusters of about 25; and smooth, spherical, red fruits with yellow seeds. Its trade name ashvagandha is based on its Indian name. Winter cherry is indigenous to India. It is also found in Afghanistan, Pakistan and Sri Lanka. The herb contains an alkaloid somniferine. Its roots containtraces of an essential oil. The water soluble portion of root extract contains indefinite amorphous substances and a quantity of sugar. The water soluble extract consists chiefly of a black resin, which contains, besides other constituents, a mixture of some fatty acids. It also contains potassium nitrate, tannin, colouring matter, glucose and some alkaloids. The shrub as a whole is employed for several medicinal applications for its hypnotic and sedative properties. It promotes libido. The root of the plant is a tonic and stimulant. It increases the secretion and discharge of urine and also other forms of secretion or excretion by opening the natural pores of the body. Recent experiments have shown that its roots and leaves possess antibiotic and antibacterial properties. The root of the plant is used for treating digestive disorders like dyspepsia and loss of appetite. It corrects the disordered processes of nutrition and restores the normalcy in the system. General DebilityIts root finds its use in treating general debility. It is taken in 2 gram doses for this purpose. The root is effective in the treatment of rheumaticaffections. It should be taken in 3 gram doses in treating this condition. The root finds its efficacy in treatment of tuberculosis. A decoction of the root is used with long pepper and honey. This decoction is also beneficial in the treatment of scrofula, that is, tuberculosis of lymph glands, especially in the neck. The root is also a narcotic, inducing deep sleep and hence beneficial in treating insomnia. Winter cherry is beneficial in the treatment of chest diseases such as cough and cold. 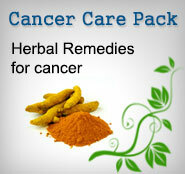 The root can be taken either in the form of powder in 3 gram doses or in the form of decoction. 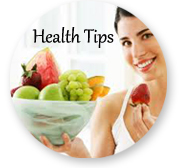 Berries and seeds can also be taken for chest complaints withbeneficial results. The herb helps to cure female sterility. Powder of the ! 'OJ in 6 gram doses can be taken with milk for 5 to 6 success! nights after menstruation. The leaves of the plant are beneficial in treating several skin disorders. Fomentation of the leaves is good for boils and swollen hands and feet. A paste of the leaves is locally applied 10 killi1, infesting the body and on carbuncles (painful swelling inside the skin) and syphilitic sores. An ointment prepared by boiling~ leaves in fat such as ghee can be applied in case of bedsores and wounds. A paste made of its roots and leaves is also a useful application over carbuncles, ulcers and swellings. For sore eyes, a fomentation of the leaves can be applied to get relief. Aphrodisiac: Two to four grams of the root with m~11 ghee can be taken as an aphrodisiac to enhance libido. The~ is beneficial in the treatment of spermatorrhoea or involuntary ejaulation. Two to four grams of the powdered root can always, taken daily with sugar, honey, long pepper and ghee in I treatment of these conditions.